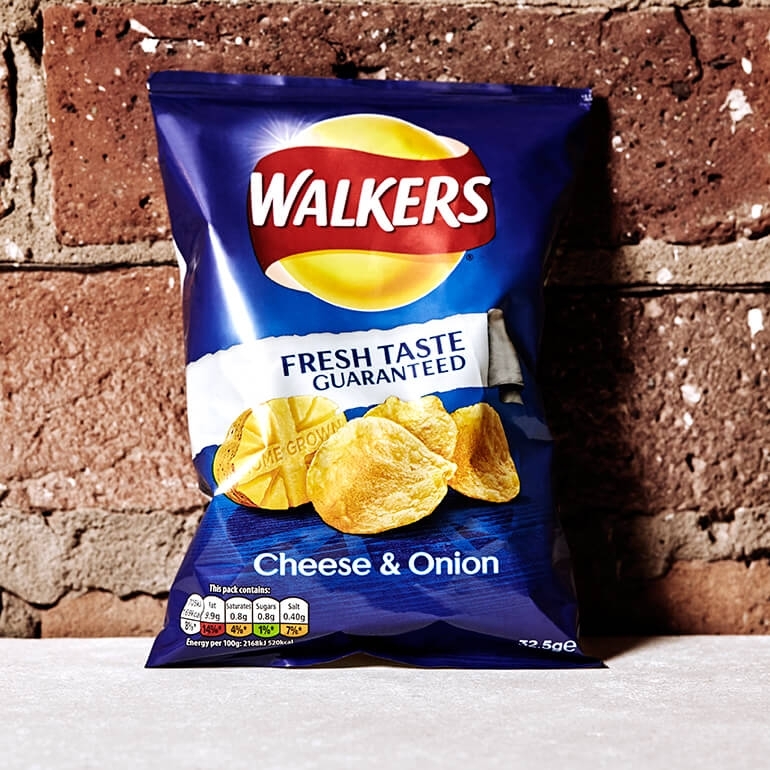 Enjoy the British nation’s favourite crisps with this classic bag of Walkers Cheese and Onion. 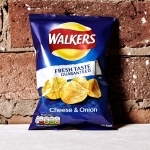 Everybody enjoys a bag of Walkers, and cheese and onion are one of their most popular and enduring flavours. 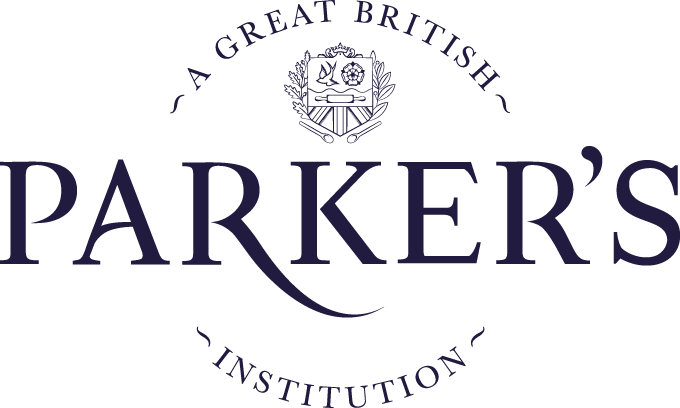 Walkers Cheese and Onion represent a part of British culture; Walkers have been producing crisps since the 1800s and use 100% British potatoes to make them.